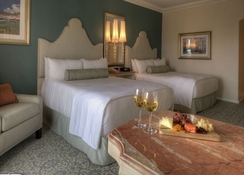 With traditional Italian décor, great location and also a host of benefits for the nearby theme parks which includes early park admission, Loews Portofino Bay Hotel At Universal Orlando is a family friendly hotel that puts you right in the heat of Orlando. 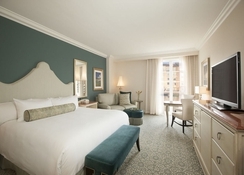 With great views of the water, cobblestone streets and much more, you really feel like you are in a seaside resort and the whole location is designed in the theme of Portofino, Italy. 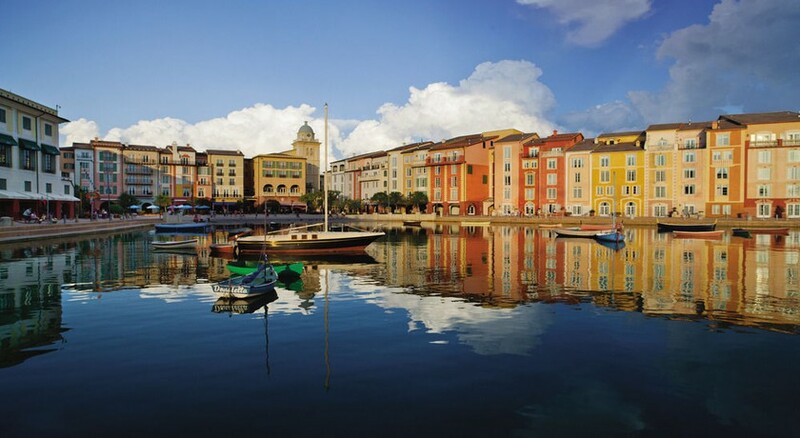 Loews Portofino Bay Hotel At Universal Orlando provides free transfer and water taxi to many attractions. With Universal Studios Island of Adventure less than a mile away you are close to the action and there are many shopping opportunities too. Universal Studios is just a few hundred yards from the property as is Hard Rock Orlando, The Wizarding World of Harry Potter, Lost Caverns Adventure golf as well as a range of shopping outlets including Belz Factory Outlet Mall and Shoppers World Shopping Center. SeaWorld is only 5 miles from the property and Walt Disney World and Disney’s Hollywood Studios are both under 10 miles away. 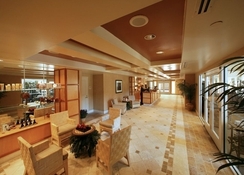 The Orlando International Airport is 9.8 miles from the hotel. 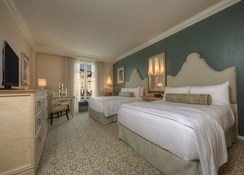 You will find 750 elegant guestrooms at the Loews Portofino Bay Hotel At Universal Orlando as well as 45 suites which can sleep between 2 and 4 people. 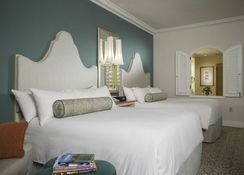 There are rooms that feature a Garden View or Bay View, Deluxe King Rooms, Deluxe Two Queen Room which has 3 large double beds and the Despicable Me Kids Suite is great for families. All rooms come with WiFi, a flat screen TV and tea and coffee facilities. There are no less than 9 eating and drinking options at Loews Portofino Bay Hotel At Universal Orlando. Bice Ristorante offers an elegant meal with views of the bay, Mama Della’s Ristorante is a family affair offering dishes from southern Italy, Trattoria del Porto is open for breakfast and dinner while Sal’s Market Deli is great for salads, pizza and a selection of meats and cheese. Splendido Bar and Grill has poolside snacks such as burgers and sandwiches and you can cool off from the hot Florida sun with ice cream in the Gelateria. There is also a Starbucks on the Harbour Piazza while Bar American is the lobby bar and The Thirsty Fish bar provides stunning views over the piazza. 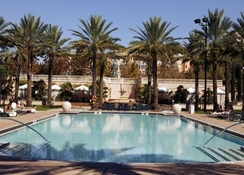 Loews Portofino Bay Hotel At Universal Orlando has 3 themed pools with waterslides and whirlpools. You can relax in the Mandara Spa and keep in shape with the fitness centre. Not only are you close to Universal Studios and many of the main theme parks in Orlando but your stay here can benefit from early park admission to The Wizarding World of Harry Potter and some attractions at Volcano Bay. There are also complimentary water taxis to several locations and access to live entertainment at Universal CityWalk.